We think a modern automation system should be infinitely expandable. Our system has been designed from the start to be extendible, allowing capabilities to be added as and when required. This means that our racks don’t have to be built making assumptions about how they are going to be used in the future. 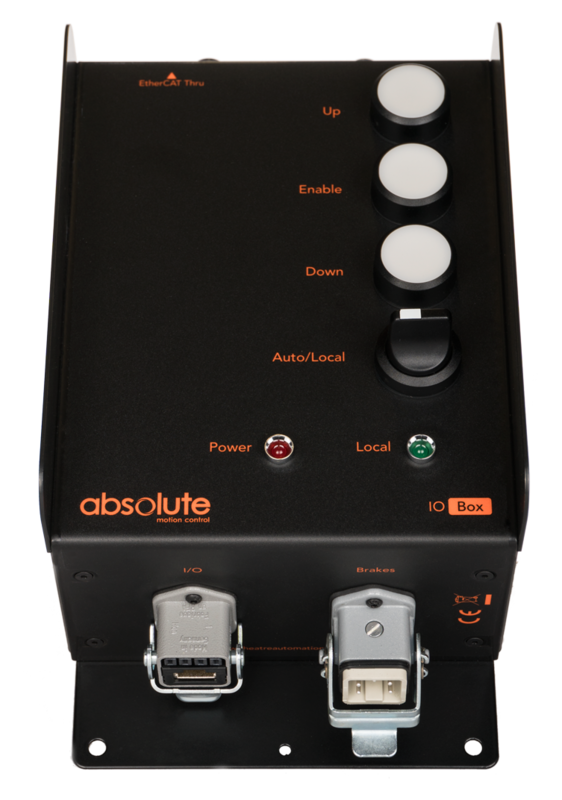 We are able to add inputs and outputs to the system, as well as a wide variety of other accessories, only as they are required. Our powered EtherCAT* cables carry data and power, which means that additional I/O can be distributed almost anywhere. This means that you can place additional functionality where it’s needed, rather than run long multicore cables back to the rack. Creating the system in this way means that you also only need to hire, or buy, what you require for your application and a standardised control rack can be built without containing unused capability. Stop[Box] is our remote emergency stop box. This allows you to place an e-stop in a convenient place for safety. There are mounting holes, allowing you to easily bolt or screw the box to a wall. An e-stop legend is printed as part of the label, so it is always easily recognisable. A reset button is located on the top of the box to allow you to reset system errors. 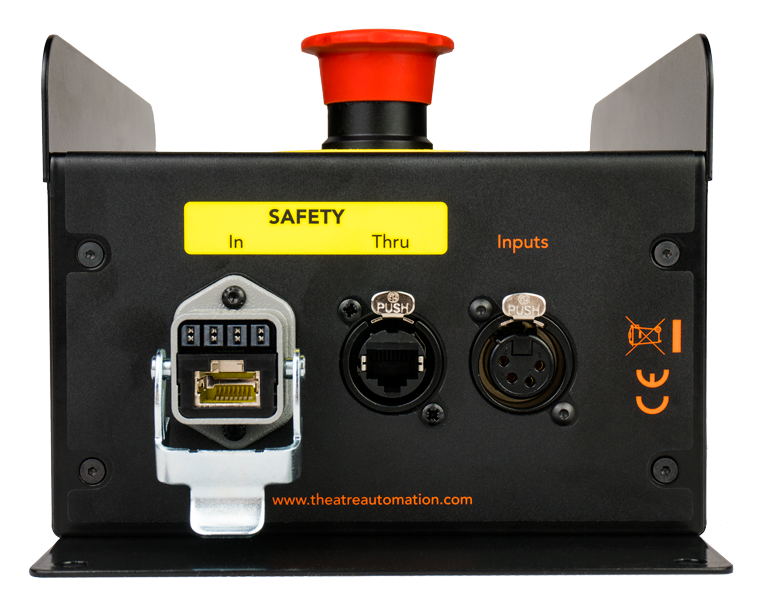 There is also an external input connector to allow you to add any additional safety devices, such as enable buttons or light curtains, to the system. IO[Box] is our input and output expansion box. This allows you to add additional I/O and manual control at convenient points. The mounting holes allow you to securely fix the box in place using screws or bolts. The box can be mounted on or near a winch to allow you to connect the winch’s limits and other I/O, like cross-groove detection. Manual control buttons allow you to control the winch, or other mechanical device, locally. This is particularly useful for the installation period, as well as for maintenance. As well as simple I/O, more complex accessories like external encoders can be added. IO[Box] is also capable of controlling actuators, motors and many other effects.